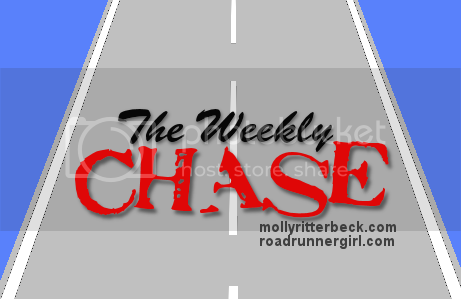 Road Runner Girl: The Weekly Chase #136! Today is the first day of school!!! I can't believe the summer is really over! But the boys and I are all excited about the new school year! I'm hoping it's going to be a great one for all of us! How did everyone's weekend go? We had a pretty lazy weekend. We were just trying to enjoy one last summer weekend. Friday, Andy took off work so he could hang with us! I started out the day with a 6.2 mile run! I wanted to get my long run done before the weekend. I had a great run and the temperature was only 71°!!! I'll tell you more about my run on Wednesday! After my run I enjoyed my morning coffee with my hubby! We don't get to do that often so we enjoyed it! Later that afternoon I met my friend Kirstin at the high school to help her work in her classroom. We did more talking than working but it was fun! On the way home I grabbed pizza for dinner and a movie. We watched "McFarland USA" and it was sooo good! I recommend it if you haven't seen it! 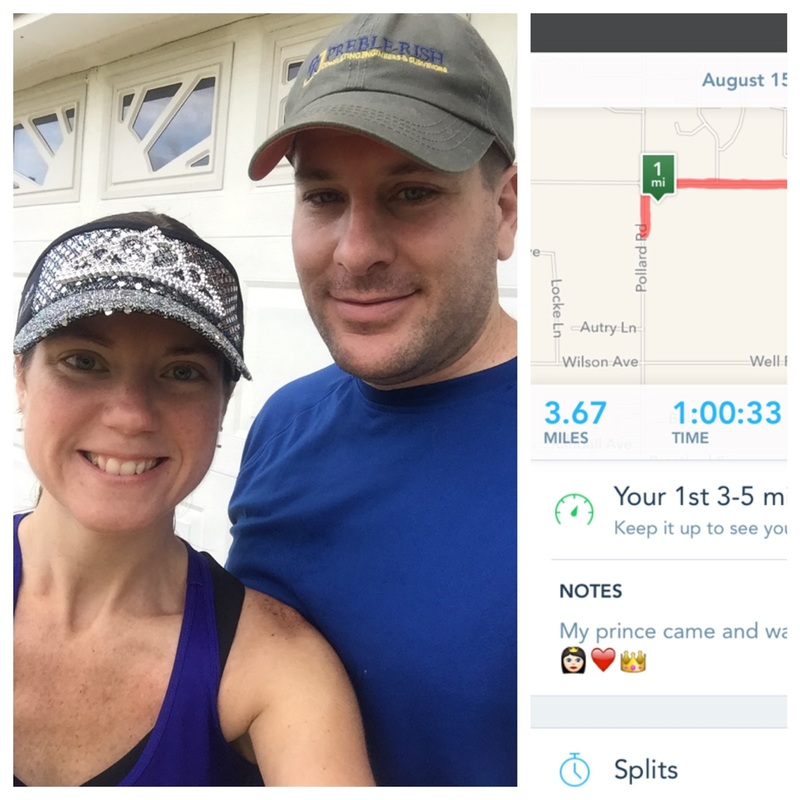 Saturday morning I ran a quick 2 miles then my hubby came out to meet me to walk. We ended up walking about 3.5 miles! I enjoyed the time with him! After eating breakfast and taking showers we headed out for some shopping. Then we had lunch at the boys favorite Mexican place. After lunch we went to the grocery store. We needed food for the week especially since we were all going back to school. Fun times I know lol! 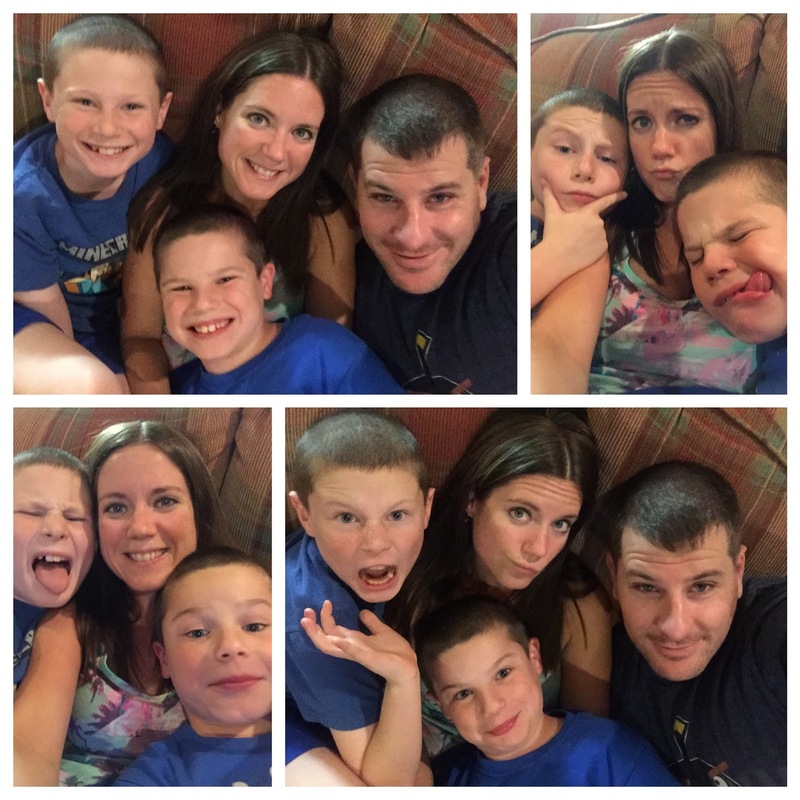 Later we had some selfie fun with the whole family! Sunday I woke up to a rainy day. I had to jump puddles during my run but didn't get rained on. I walked a little over a mile after my run and got sprinkled on but it felt refreshing! Then we headed to church. Our friends Kirstin, Jim, and their daughter Maddy met us there. Maddy has been gone the past two weeks out of town with her grandparents. 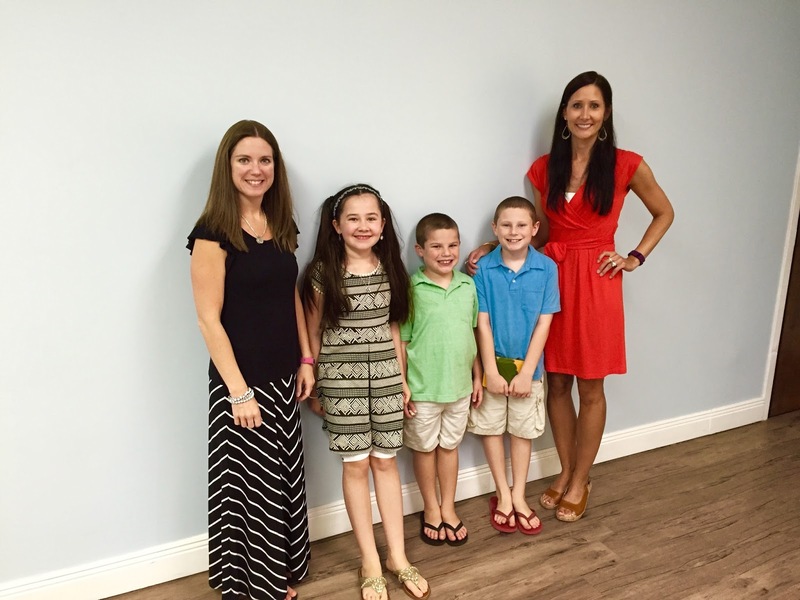 The kids were so happy to be reunited! After church we all went out to lunch. Then Maddy came home with us to play for the afternoon. The rest of the day was spent getting ready for the first day of school! It wasn't a very eventful weekend but we enjoyed being all together! And that's what's important! Goal #1: Run every day! Yes! I got in all my runs last week! And I even walked a little over a mile after each run! Goal #2: Roll, stretch, and ice daily. Yep! Goal #3: Maintain my weight by logging my calories. 90%. I missed a few meals on some days. But for the most part I did pretty well. Goal #4: Get student names written on everything in my classroom. Yes! My classroom is all ready for those sweet kiddos to arrive today! Goal #5: Try to plan at least one more fun day with my boys before school starts back next week. I didn't do too well with this one. We spent the whole weekend at home. We were going to try to go to the beach but heard the jellyfish were really bad so we didn't want to chance it. Goal #1: Run every day! Even though we are all back to school this week I plan on continuing my run streak each morning. That means waking up about 35 minutes earlier in the mornings. Goal #2: Roll, stretch, and ice daily. Gotta keep this up so I can prevent injury as much as I can! Goal #3: Maintain my weight by logging my calories. Going back to school will help with this some I hope. I won't be at home to snack whenever I want! Goal #4: Survive the back to school routine! It's going to be tough getting us all back in the routine. Earlier bedtimes and earlier wake ups will be tough on us all. My plan is to survive this week until we are all adjusted lol! That's it for the week! We have a lot going on with it being back to school so I'm just focusing on that this week. Block Island Organics Sunscreen Review! 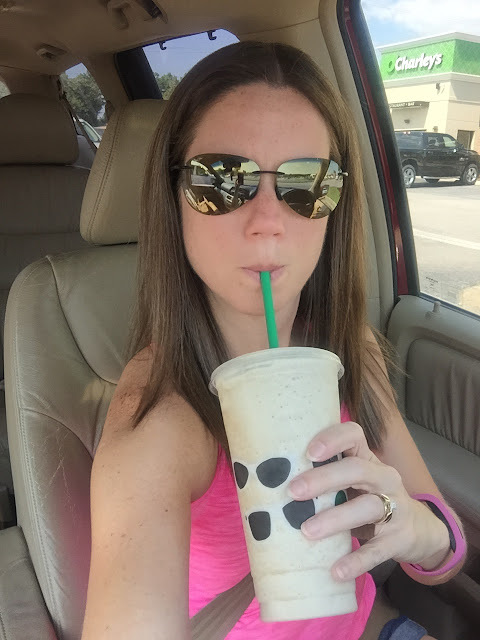 Gulf Coast Half Marathon Training...Week 5! Disney Day 6...Magic Kingdom Again! 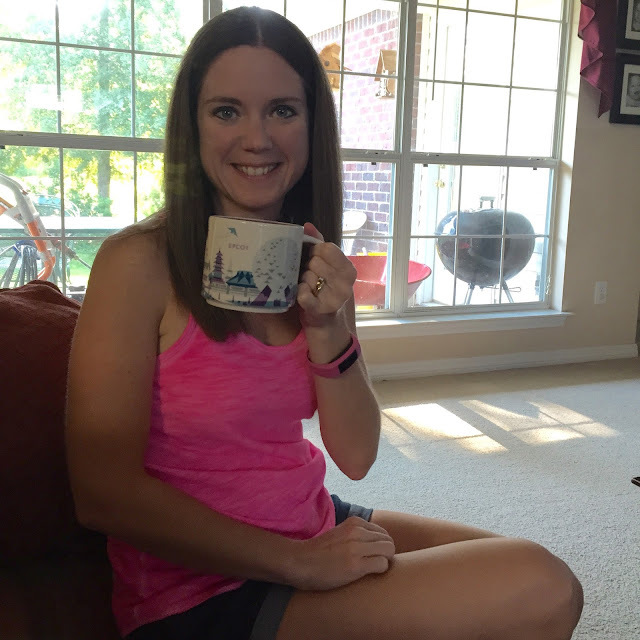 Gulf Coast Half Marathon Training...Week 4! 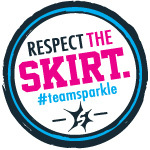 Sole Sister Run Virtual 7 Mile Race!